Kancha Ilaiah is a fascinating thinker and writer. 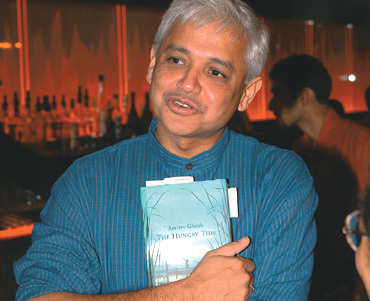 He first made waves with his book Why I am not a Hindu. Parts of that book even appeared in the famed Subaltern Studies. He has to be credited for his concept of ‘dalitization’ which is a very useful sociological concept. He is often difficult to agree with, as his ideas take liberty with facts referred to. But, his works always will provide you insights that are uncommon. He is provocative. Ilaiah is a must read. Here is a review of his new book by Anand Teltumbde, which appeared in Tehelka. Although Teltumbde is critical of this book, you will notice he admits to Ilaiah’s strength of observation. Teltumbde is a fine thinker too. Check out the review. KANCHA ILAIAH is known for books with explosive titles like Why I Am Not a Hindu and Buffalo Nationalism, but with spiritual content. This book, his latest, follows in the same tradition. At a time when many intellectuals are morbidly worried about the resurgence of Hindutva, Ilaiah boldly sees Hinduism on course of its death because of its “failure to mediate between scientific thought and spiritual thought”. The book is a reflective account of his own journey through castes and communities and highlights everyday clashes of caste cultures and conflict between “the productive ethic of Dalit-Bahujan castes and the anti-productive and anti-scientific ethic of Hindu Brahminism”. The contents page would catch the fancy of any reader with its catchy phrases like ‘intellectual goondas”, “spiritual fascists”, used for Brahmins and “subaltern scientists”, “meat and milk economists” for the Dalit- Bahujans. The first thing that crossed my mind is that the marketing wing of any publication house will be simply overjoyed with brand ‘Kancha Ilaiah,’ with its potential appeal to the vast market spanning three out of four spiritual worlds (Christian, Islam and Buddhist, excluding Hindu), to make use of his phraseology. Indeed, with his passionate promotion of Dalit-Bahujan and outlandish interpretation of mundane details of life, he has created a unique place for himself among subaltern writers. Reading this book gives you a feel of travelling in a Maglev train — an illusion of running on rails but in fact levitates over a thin layer of air. While traversing through its arguments, the book creates an illusion of being based on truth but is distanced from it by a thin layer of prejudice. There is an overdose of culture and spirituality which could intoxicate readers without them realising it. If one is not so ‘spiritually’ intoxicated, one suffers from mundane doubts nibbling at his intellect: is this conjoint term ‘Dalit-Bahujan’ sociologically viable, given the huge load of material contradictions between these two population groups that have been precipitating into most heinous caste atrocities? How and why did these worthy ‘spiritual democrats’ or ‘spiritual revolutionaries’ come to emulate the caste hierarchy of Brahmins, the spiritual fascists, within themselves and zealously preserve it? If the Dalit- Bahujans were so accomplished in terms of their scientific and technological prowess, how could they be enslaved by a handful of scheming and spiritually degenerate Brahmins for millennia? The book succeeds in establishing the superiority of Dalit-Bahujans, but doesn’t it essentially follow the very same Brahmanic ethos of superiority-inferiority? The value of Kancha Iliah’s book lies not so much in its thesis but in the richness of its observations not only on the castes of India, but also on the many people and events in the world. Dilip Chitre is no more. His works are with us. Will be with us as they are so good. His voice, so intense about poetry and art. So sharp and unhesitating about the work of writing. His keen cultural mind will be with us. Dilip Chitre, Arun Kolatkar, and a few others did work the significance of which is yet to be properly understood. Their entire movement within literary/cultural ‘sub’culture (rather than the highway of official literature) is very intriguing. Slowly I hope we will make sense and learn from it. Preserve it too. My friend Prasad writes this as a kind of obit. 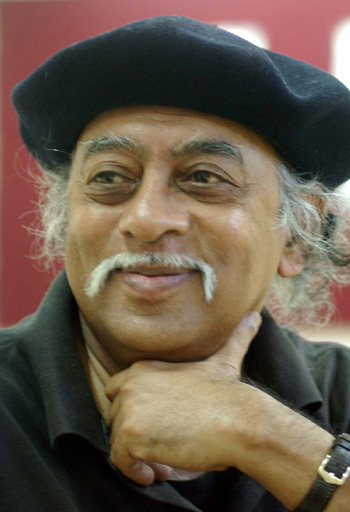 I’m in total shock after just receiving the terribly sad news that one of my heroes and friends, Dilip Chitre, passed away early this morning (Thursday) in Pune. He was 71 and had been struggling with cancer over the past year. One of the hardest parts of getting this kind of news is of that its reminder that another generation is passing on. Dilip’s foremost peer, Arun Kolatkar, passed away in 2004, and this past year we lost two major Indian critics, Bhalachandra Rajan and Meenakshi Mukherjee. Others of Dilip’s millieu (like Namdeo Dhasal) are also not doing so well health-wise. This is also the generation of South Asian artists who did things purely for the love of it; there was no real money (let alone fame) to be made in this field when they started out in the sixties and seventies. I am more shocked, than sad. I was just talking about him yesterday with a friend, advising that she meet him while she’s in India. I was also planning to purchase his most recent two books online, and have been thinking of him and his family while reading Dom Delillo’s White Noise, which references the Bhopal tragedy that happened 25 years ago; I believe Dilip and his family were in Bhopal at time, and a few years back they lost their son (who’s probably age) due to health issues that they fear were related to that horrible event. In fact, he was on my mind this morning, and I was thinking about how nice it would be meet him again on my next trip to India, after I am done my PhD and with both Soumil and Sheila this time. All such hopes will remain unfulfilled, and so be it. Dilip left us all a great legacy of poetry (English and Marathi), translations, film and paintings. I am also fortunate to have two cassettes of a recorded conversation that he and I had when I met him last time in 2006, and in which he expressed many ideas that I would have otherwise not seen in print. The urgency of going through this material feels that much stronger now than ever. Marathi culture through Dilip’s work, and it’s led me to rediscover other aspects of India and South Asian culture. In short, the work that I do as a student of literary criticsm and postcolonial theory would not be the same were it not for this set of influences. For those of us who knew Dilip, let us all pray (however we may) for the journey of his soul, and the peaceful mourning of his widow, Viju. And for those who did not, I highly suggest you put one of Dilip Chitre’s books or translations on your reading list. We will miss you, passionate poet, tuka’s friend. A comment at 3quarks daily about the simplistic notion of ‘individuals as destiny makers’ in a general way. It must not be forgotten that the production of this simple belief is itself an ideological work. Also that creating monsters out of individuals leaves the system blameless. I’m really tired of this “Hitler, Stalin, and Mao killed millions” line. It appears to me that Mr. Capital is sometimes rendered incapacitated. The plans to turn Sundarbans into a money spinner perhaps met with this fate. In 2004 Amitav Ghosh, whose The Hungry Tide is located in this region, wrote a piece on the issue. The Ganges-Brahmaputra river system carries eight times as much silt as the Amazon and the waters of this region are thick with suspended particulate matter. This is not an environment that is appropriate for snorkeling or scuba diving. In the water visibility is so low that snorkelers and scuba divers would scarcely be able to see beyond their masks. What is more, these waters are populated by estuarine sharks and marine crocodiles. A substantial number of villagers and fishermen fall prey to these animals every year. Snorkelers and divers would face many dangers. Even swimming is extremely hazardous in the Sundarbans. The collision of river and sea in this region creates powerful currents, undertows and whirlpools. Drownings are commonplace and boats are often swamped by the swirling water. Swimmers who accidentally ingest water would face another kind of hazard. Consider for example the experience of an American woman who visited the Sundarbans in the 1970s: she dipped her finger in a river and touched it briefly to her tongue, to test its salinity. Within a short while she developed crippling intestinal convulsions and had to be rushed to hospital. Bacteria and parasites are not least among the many life forms that flourish in the waters of the Sundarbans.